originally printed in 'L'Écran française' 30 March 1948 as "Du Stylo à la caméra et de la caméra au stylo"
One cannot help noticing that something is happening in the cinema at the moment. Our sensibilities have been in danger of getting blunted by those everyday films which, year in year out, show their tired and conventional faces to the world. The cinema of today is getting a new face. How can one tell? Simply by using one's eyes. Only a film critic could fail to notice the striking facial transformation which is taking place before our very eyes. In which films can this new beauty be found? Precisely those which have been ignored by the critics. 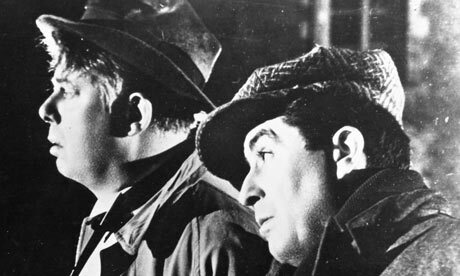 It is not just a coincidence that Renoir's La Regle du Jeu, Welles's films, and Bresson's Les Dames du Bois de Boulogne, all films which establish the foundations of a new future for the cinema, have escaped the attention of critics, who in any case were not capable of spotting them. But it is significant that the films which fail to obtain the blessing of the critics are precisely those which myself and several of my friends all agree about. We see in them, if you like, something of the prophetic. That's why I am talking about avant-garde. There is always an avant-garde when something new takes place... .
To come to the point: the cinema is quite simply becoming a means of expression, just as all the other arts have been before it, and in particular painting and the novel. After having been successively a fairground attraction, an amusement analogous to boulevard theatre, or a means of preserving the images of an era, it is gradually becoming a language. By language, I mean a form in which and by which an artist can express his thoughts, however abstract they may be, or translate his obsessions exactly as he does in the contemporary essay or novel. That is why I would like to call this new age of cinema the age of camera-stylo (camera-pen). This metaphor has a very precise sense. By it I mean that the cinema will gradually break free from the tyranny of what is visual, from the image for its own sake, from the immediate and concrete demands of the narrative, to become a means of writing just as flexible and subtle as written language. This art, although blessed with an enormous potential, is an easy prey to prejudice; it cannot go on for ever ploughing the same field of realism and social fantasy which has been bequeathed to it by the popular novel. It can tackle any subject, any genre. The most philosophical meditations on human production, psychology, metaphysics, ideas, and passions lie well within its province. I will even go so far as to say that contemporary ideas and philosophies of life are such that only the cinema can do justice to them. Maurice Nadeau wrote in an article in the newspaper Combat: 'If Descartes lived today, he would write novels.' With all due respect to Nadeau, a Descartes of today would already have shut himself up in his bedroom with a 16mm camera and some film, and would be writing his philosophy on film: for his Discours de la Methods would today be of such a kind that only the cinema could express it satisfactorily. It must be understood that up to now the cinema has been nothing more than a show. This is due to the basic fact that all films are projected in an auditorium. But with the development of 16mm and television, the day is not far off when everyone will possess a projector, will go to the local bookstore and hire films written on any subject, of any form, from literary criticism and novels to mathematics, history, and general science. From that moment on, it will no longer be possible to speak of the cinema. There will be several cinemas just as today there are several literatures, for the cinema, like literature, is not so much a particular art as a language which can express any sphere of thought. This idea of the cinema expressing ideas is not perhaps a new one. 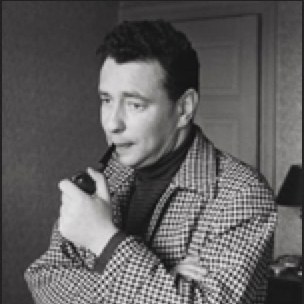 Feyder has said: 'I could make a film with Montesquieu's L''Esprit des Lois.' But Feyder was thinking of illustrating it 'with pictures' just as Eisenstein had thought of illustrating Marx's Capital in book fashion. What I am trying to say is that the cinema is now moving towards a form which is making it such a precise language that it will soon be possible to write ideas directly on film without even having to resort to those heavy associations of images that were the delight of the silent cinema. In other words, in order to suggest the passing of time, there is no need to show falling leaves and then apple trees in blossom; and in order to suggest that a hero wants to make love there are surely other ways of going about it than showing a saucepan of milk boiling over on to the stove, as Henri-Georges Clouzot does in Quai des Orfevres (Jenny Lamour). The fundamental problem of the cinema is how to express thought. The creation of this language has preoccupied all the theoreticians and writers in the history of the cinema, from Eisenstein down to the scriptwriters and adaptors of the sound cinema. But neither the silent cinema, because it was the slave of a static conception of the image, nor the classical sound cinema, as it has existed right up to now, has been able to solve this problem satisfactorily. The silent cinema thought it could get out of it through editing and the juxtaposition of images. 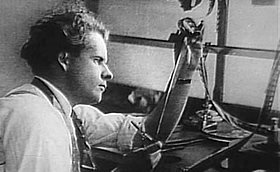 Remember Eisenstein's famous statement: 'Editing is for me the means of giving movement (i.e. an idea) to two static images.' And when sound came, he was content to adapt theatrical devices. One of the fundamental phenomena of the last few years has been the growing realisation of the dynamic, i.e. significant, character of the cinematic image. Every film, because its primary function is to move, i.e. to take place in time, is a theorem. It is a series of images which, from one end to the other, have an inexorable logic (or better even, a dialectic) of their own. We have come to realise that the meaning which the silent cinema tried to give birth to through symbolic association exists within the image itself, in the development of the narrative, in every gesture of the characters, in every line of dialogue, in those camera movements which relate objects to objects and characters to objects. All thought, like all feeling, is a relationship between one human being and another human being or certain objects which form part of his universe. It is by clarifying these relationships, by making a tangible allusion, that the cinema can really make itself the vehicle of thought. From today onwards, it will be possible for the cinema to produce works which are equivalent, in their profundity and meaning, to the novels of Faulkner and Malraux, to the essays of Sartre and Camus. 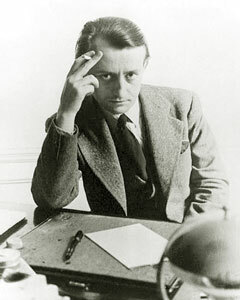 Moreover we already have a significant example: Malraux's L'Espoir, the film which he directed from his own novel, in which, perhaps for the first time ever, film language is the exact equivalent of literary language. Let us now have a look at the way people make concessions to the supposed (but fallacious) requirements of the cinema. Scriptwriters who adapt Balzac or Dostoievsky excuse the idiotic transformations they impose on the works from which they construct their scenarios by pleading that the cinema is incapable of rendering every psychological or metaphysical overtone. In their hands, Balzac becomes a collection of engravings in which fashion has the most important place, and Dostoievsky suddenly begins to resemble the novels of Joseph Kessel, with Russian-style drinking-bouts in night-clubs and troika races in the snow. Well, the only cause of these compressions is laziness and lack of imagination. The cinema of today is capable of expressing any kind of reality. What interests us is the creation of this new language. We have no desire to rehash those poetic documentaries and surrealist films of twenty-five years ago every time we manage to escape the demands of a commercial industry. Let's face it: between the pure cinema of the 1920s and filmed theatre, there is plenty of room for a different and individual kind of film-making. This of course implies that the scriptwriter directs his own scripts; or rather, that the scriptwriter ceases to exist, for in this kind of film-making the distinction between author and director loses all meaning. Direction is no longer a means of illustrating or presenting a scene, but a true act of writing. The film-maker/author writes with his camera as a writer writes with his pen. In an art in which a length of film and sound-track is put in motion and proceeds, by means of a certain form and a certain story (there can even be no story at all - it matters little), to evolve a philosophy of life, how can one possibly distinguish between the man who conceives the work and the man who writes it? Could one imagine a Faulkner novel written by someone other than Faulkner? 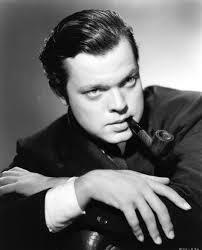 And would Citizen Kane be satisfactory in any other form than that given to it by Orson Welles? Let me say once again that I realise the term avant-garde savours of the surrealist and so-called abstract films of the 1920s. But that avant-garde is already old hat. It was trying to create a specific domain for the cinema; we on the contrary are seeking to broaden it and make it the most extensive and clearest language there is. Problems such as the translation into cinematic terms of verbal tenses and logical relationships interest us much more than the creation of the exclusively visual and static art dreamt of by the surrealists. In any case, they were doing no more than make cinematic adaptations of their experiments in painting and poetry. So there we are. This has nothing to do with a school, or even a movement. Perhaps it could simply be called a tendency: a new awareness, a desire to transform the cinema and hasten the advent of an exciting future. Of course, no tendency can be so called unless it has something concrete to show for itself. The films will come, they will see the light of day - make no mistake about it. The economic and material difficulties of the cinema create the strange paradox whereby one can talk about something which does not yet exist; for although we know what we want, we do not know whether, when, and how we will be able to do it. But the cinema cannot but develop. It is an art that cannot live by looking back over the past and chewing over the nostalgic memories of an age gone by. Already it is looking to the future, for the future, in the cinema as elsewhere, is the only thing that matters. This translation is from "The French New Wave", edited by Ginette Vincendeau and Peter Graham. This book is a wonderful anthology of writings by critics and filmmakers associated with the Nouvelle Vague, is a great read, and has many more seminal writings. We highly recommend it! !